The rainy season is back, but that shouldn't stop you from enjoying your day! 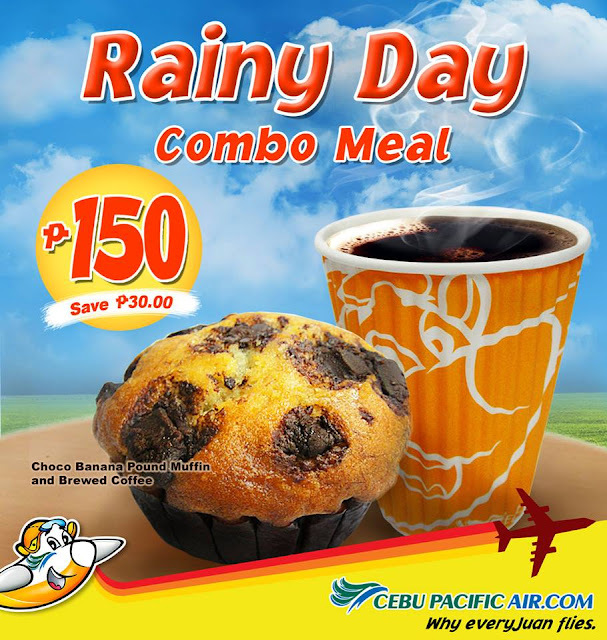 Pair up your next flight with our Rainy Day Combo - Moist Choco-banana Pound Muffin with a hot cup of brewed coffee. Available on all flights until end of July only. Hurry, get your limited Rainy Day combo now!